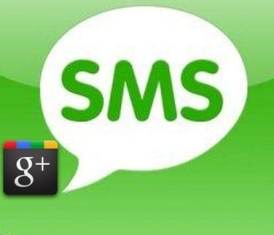 Description: A quick guide to post or send your Google plus updates via SMS text by Mobile phones. Google+ Mobile posting to public or specific circles and emails. Do you want to update your Google+ status update by your mobile phone? If yes, this is a simple guide for you. No matter your phone has internet connection or not. It is basically runs over your SMS carrier charges. Nowadays, you can find the best tariff plan for your network SMS charges. You may read our previous post for getting Google+ notifications on mobile phones. If you want to update status from your phone then you have to write text and send to a proper number as you sending messages normally. Doesn't matter which network sim you are using in your mobile phone whatever you are using such as Reliance, Vodafone, Airtel, BSNL... and So on. Generally, the status updates sending by the phone are visible to public, but Google Plus also offers you to update your updates to your specific circles by writing some additional text in to your message. I have also described it in the following post. Therefore, here a quick guide to update your Google+ status via mobile phone. "Sending updates to Google Plus via SMS, data rates apply according to your network." Firstly, you have to verify your mobile number with Google plus profile. If you have already registered your mobile number then skip this step, otherwise here is a quick guide to Verify Mobile No. in Google Plus Profile. Once you have verified your mobile number then follow the below steps. Go to the "Settings" in your Google+ profile page, where you have verified your mobile number. Scroll down the page until you see "SMS Posts", and make a tick on "Allow posting by SMS". Now, you have registered for the SMS services. To start posting on Google plus write text in the message, and send it to +91 9870300003 (for India only). If you are form anywhere except India, Click here and click on "Check your country and carrier". By default, posts shared by the phone are visible to everyone in your circles. To share your posts to more specific circles follow the below guide. If you want to post update via SMS to a specific circle then you have to append your text with +[Circle Name]. For example, "Hey, this is my first update via mobile +friends" shares only with your friends circles. To share your post with everyone in your extended circles, append your text with +extended. For example: "Hey, this is my first update via mobile +extended". Public posts are visible to everyone on the web and it may be appear in search results. To share your post with everyone on the web, append your text with +public. For example: "Hey, this is my first update via mobile +public". To share your post to specific person, append your text with +[email address]. For example: "Hey, this is my first update via mobile +abcd@gmail.com". It will be visible only to abcd@gmail.com. Add both +[email address] and +[circle name] to the post. For example, "Hey, +rohit354@gmail.com and I meet on the sky. +best friends" shares with Rohit and Best friends circle.